LA Pool Builders is the best of the best! 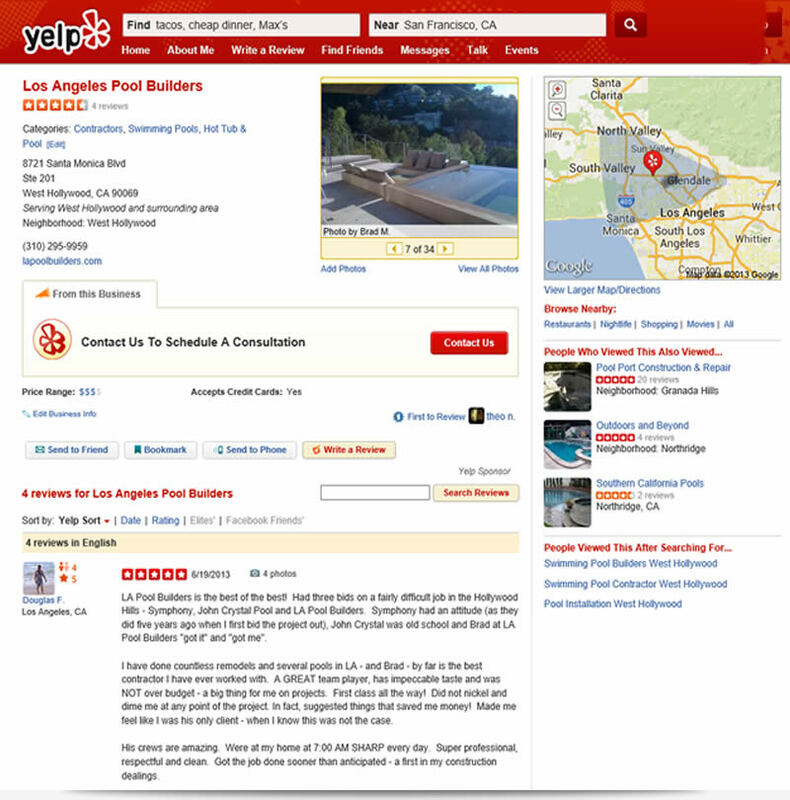 Had three bids on a fairly difficult job in the Hollywood Hills and Brad at LA Pool Builders "got it" and "got me". We love the work LA Pool Builders did at our back yard!!! They are simply the best! You can trust Brad and his crew! Brad put in our pool a year ago. While there have been some bumps in the first year, i have to say, it has evened out and at the end of the day, I am very happy. I had four different bids to redo my pool. Brad came by and took a look at my pool and told me exactly what i needed to hear.